Netflix has launched its first public bug bounty program. This means that anyone who uses the streaming service can report any vulnerabilities and receive a cash payout for their trouble. As well as the satisfaction of keeping Netflix safe and secure. Once a product or service grows to a certain size it’s impossible to find and squash every bug without a little help. Which is why most big companies run bug bounty programs. Now that Netflix has 100 million users Netflix Now Has Over 100 Million Subscribers Netflix Now Has Over 100 Million Subscribers Netflix has announced its latest financials, but before you click away for fear of being bored, there's some rather interesting information buried in the Q2, 2017 earnings. Read More it’s the latest company to join the fray. 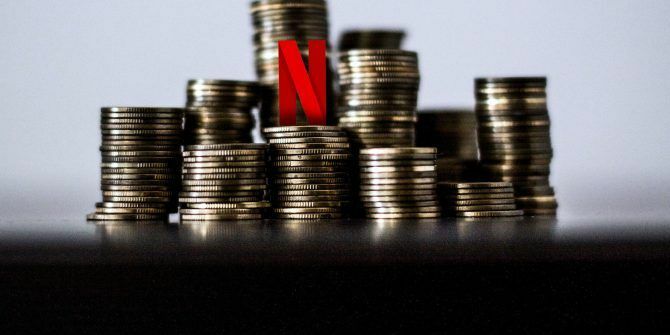 Netflix has had a vulnerability disclosure program since 2013, and in 2016 the streaming service launched a private bug bounty program open to 100 researchers. The number of researchers has now grown to 700, and so Netflix is opening the program up to everyone. As revealed in a post on Medium, Netflix has received 145 valid submissions so far, with the highest payout being $15,000 awarded for a critical vulnerability. However, payouts start at just $100 for people reporting low level bugs and vulnerabilities. Netflix is running its public bug bounty program through Bugcrowd. Netflix promises to acknowledge reports within seven days of submission, with the current average being just 2.7 days. As well as payouts Netflix adds security researchers to its Hall of Fame. If you fancy yourself as a potential white hat hacker then everything you need to know about Netflix’s public bug bounty program is detailed on Bugcrowd. As for the rest of us, we’ll just carry on binge-watching Netflix as per usual. Netflix’s payouts aren’t all that generous, at least compared to other companies. For example, Microsoft pays out up to $250,000 for critical bugs. However, as Netflix grows its need to squash bugs will grow too. And so will the payouts on offer. If you have read this far then we assume you’re a keen Netflix user. Which means you’ll be interested in the 100 best movies to watch on Netflix The 100 Best Movies to Watch on Netflix Right Now The 100 Best Movies to Watch on Netflix Right Now There is so much content on Netflix it's difficult to sort the wheat from the chaff. This article offers a helping hand, counting down the 100 best movies you should watch on Netflix right now. Read More , our ultimate guide to Netflix The Ultimate Netflix Guide: Everything You Ever Wanted to Know About Netflix The Ultimate Netflix Guide: Everything You Ever Wanted to Know About Netflix This guide offers everything you need to know about using Netflix. Whether you're a new subscriber or an established fan of the best streaming service out there. Read More , and our advice on how to solve annoying Netflix issues How to Solve 10 of the Most Annoying Netflix Problems How to Solve 10 of the Most Annoying Netflix Problems Netflix isn't perfect. Here are some common problems people have with Netflix and some simple solutions you can try. Read More . Amazon Music Is Now Free for Amazon Echo OwnersPUBG vs. Fortnite vs. H1Z1: Which Battle Royale Is Right for You? Personnally, I really enjoyed "The Bridge," Scandi version. Interesting but dark plots, and amazing characters. The main Danish detective, Saga, has Asperger's Syndrome, tho it's not mentioned. Her poor social skills, flat affect, and the blurting out of exactly what she is thinking, really makes every scene she is in very interesting. We are anxiously waiting for season 4 to appear on Netflix.